he emotions and feelings related to the friendship is difficult to be deciphered. From ancient times, there has been numerous instances of friendship that have changed the entire meaning of humanity. The friendship is one such emotion which is well utilized by the writers and directors into books, literary works or movies. The virtue of friendship has been appreciated by one and all over the world. To encourage the global bonding of friendship among people, Friendship is celebrated among people on different dates. Most of the countries like India followed the USA date of the occasion which falls on First Sunday of August every year. The Friendship Day in India is scheduled to be on 5th August for the year 2018. The idea of Friendship Day was given by Joyce Hall, the founder of Hallmark Cards in the year 1930. Earlier, it was proposed to celebrate the Friendship Day on 2nd August by sending greeting cards and other items as the holiday celebrations. 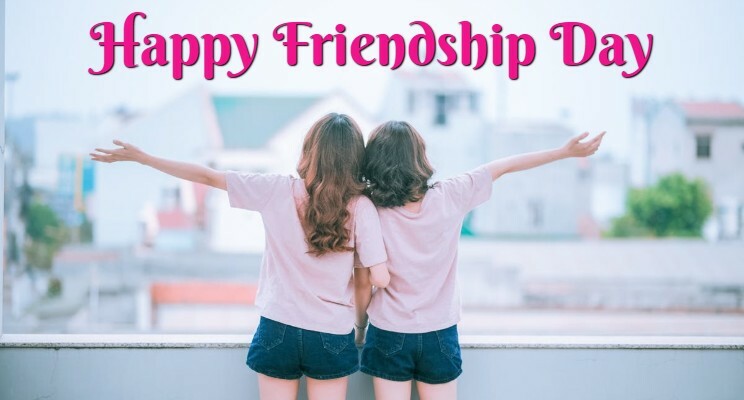 The idea was further promoted by the greeting card National Association during 1920s but was not taken in a healthy spirit as it reflected the commercial gimmick to promote the greeting cards in the name of Friendship Day. The present day efforts in this direction was evident when the US Congress in the year 1935 decided to celebrate a day in the honour of friends. Although, the exact reason for the celebration of Friendship Day is not known but the need for it was felt due to the devastating effects of the First World War. The occasion was thought as an effort that could dissolve the mistrust, hatred and enmity among people of various countries through the strong ties of global friendship. To work in the same direction, US Congress marked the First Sunday of August as Friendship Day through a formal proclamation that was announced in the year 1935 as a holiday to honour the friendship. Later on other countries also joined the celebration and the Friendship Day began to be celebrated in other countries as well. The International Friendship Day was also decided to be celebrated on 30th July as per the resolution adopted by United Nations in 2011. It was decided to forge a strong bond of friendship among people of various countries irrespective of their race, colour, gender, religion, ethnicity and other such factors. On this auspicious day, people meet their friends in order to exchange greeting cards, flowers and gifts among themselves. Apart from this, several other social and cultural organisations host a wide range of programs, events and rock concerts to celebrate this special occasion of Friendship Day. With the passage of time, the celebration of Friendship Day became more and more commercialised. People now buy bouquet of flowers or special floral arrangements to make their friends feel valued on this special day. Pink and Yellow roses are quite popular as friendship day flowers among the young generations. Apart from this, there are others who invest their money on exotic chocolate boxes to add extra sweetness into their friendship. Not just flowers and chocolates, there is a lot of frenzy around friendship day bracelets and bands also. People buy friendship bands/bracelets and other personalised jewellery items for their friends to honour the occasion of Friendship Day. You can find a personalised bracelet, locket, pendant and other items in order to express feelings towards your beloved friend. Even restaurants, dance clubs, bars and other such places do offer special discounts, offers and events to enhance the celebratory mood of Friendship Day. Young crowds flock these places and celebrate the occasion with great fanfare. They spend quality time with their friends, drink and party harder to remain in sync with this great occasion.